We offer residential and commercial energy audits and thermographic inspections, to help pinpoint where your home or business is losing heat and money. We are certified by both the Alaska Housing Finance Corp. (AHFC) and the Building Performance Institute (BPI). By using Infrared Thermal Imaging, we can help locate the sources of heat loss, we can develop a strategy to keep the energy you pay for inside your home. It can also quickly and easily determine whether there is insulation present in the thermal envelope. By perfomring IR analysis of your attic and hot roof, “thermal by-passes” are located and can be identified for correction to stop heat loss. By locating Air Infiltration points with a “Blower Door “the source of air infiltration and drafts can be rectified. It can be used to map water & fire damage. The IR camera can locate moisture damage, thereby limiting the extent of deconstruction of your home and the cost of remediation. IR imaging is an awesome tool to find failing electrical equipment and phantom loads as well as leaks or failure in radiant flooring. We offer EPA and DEC approved testing, using the latest Radon testing equipment, and provide you with certified reports. Additionally, we offer consultation for mitigation and carry various radon mitigation equipment. We conduct hands-on classes for repair and maintenance on all Toyo Console heaters and Oil Miser water heaters. Learn to repair or just to understand the workings of your stove. Get a full day of hands on training. Call to sign up for the next class (class size is limited). If you can’t attend a class we offer free repair and service advice upon request. Just give us a call or stop in. We have all the parts and expert service technicians that can help with any job large or small. If your company or community would like us to offer a class for your specific needs just give us a call and we will make it happen. We disassemble and inspect every part of your stove, we will call with an estimate before any work is performed. Your stove will be completely cleaned and only factory parts will be used. Your stove will look and operate like new when it leaves our shop. We offer 30 Day Warranty on workmanship. We are licensed factory trained and certified technicians. 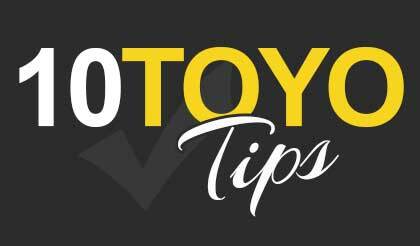 Borrow one of our toyo heaters free while we service yours. We also ship to the Bush, we will pick it and drop it off at the Airport for an addition $10. So if you can’t fix it or want a factory tune-up, box it up and send it to us. We will perform a cleaning or repair and send it back good as new. We carry a full line of parts for all the products we sell. So whether you need a gasket for your Toyo or a liner for your chimney we’ve got you covered.